Nellie Jackson and her son, Craig Jackson, welcome guests at the 2005 Barrett-Jackson Palm Beach Collector Car Auction Opening Night Gala to benefit the National Center for Missing and Exploited Children. The personal automobile and mobile office originally owned by aviation legend Howard Hughes was sold for $1.5 million at the Barrett-Jackson Palm Beach Collector Car Auction. The event, held at the South Florida Expo Center in West Palm Beach, Fla., ran from March 31-April 3. The 1953 Buick Roadmaster was found on blocks in Hollywood, where it had been sitting since Hughes last drove the car while staying in the Beverly Hills Hotel. He used this vehicle to conduct important business meetings at undisclosed locations. Hughes had a full 24-volt aircraft electrical system installed in this car with a plug-in attachment under the trunk. This gave him the ability to drive to any airport and personally jumpstart his airplane, thereby outsmarting his enemies by traveling undetected. Even the air conditioning system was redesigned for Hughes so that it could operate without the engine running by batteries and a generator/blower using airflow through a dust trap and bacterial filter mounted in the trunk. The Roadmaster was so important to Hughes that it stayed with his most prized possessions to keep it safe from tampering or bugging. It remained with many of his other personal belongings until decades after his death when it was discovered. The pastel blue Roadmaster has only 5,339 actual miles on it and still has the original California license plate and l958 registration tags. The exciting Barrett-Jackson Palm Beach Collector Car Auction featured more than 450 of the world’s finest classic, collector, sports and special interest vehicles that represented nearly 100 years of automotive innovation. This included cars from the legendary AC Cobra to the Volkswagen Karman Ghia. The event was launched with a sensational opening night gala to benefit the National Center for Missing and Exploited Children. John Welsh, founder of the NCMEC and host of “America’s Most Wanted,” was on hand for the festivities. Other highlights of this event included a “no-nonsense” Automobilia Auction and Automobile & Lifestyle Expo featuring over 100 exhibitors. Some of the unique cars appearing on the auction block were the 2003 Le Mans Pace Car, the 2003 Le Mans Safety Car, the 2004 Daytona 500 Pace Car, and 50 collectable Chevrolet Corvettes. 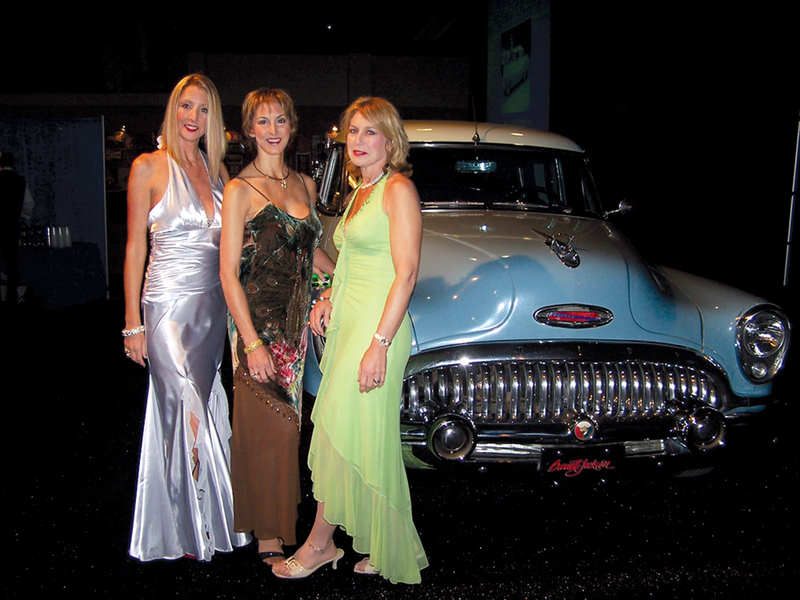 L to R: Princess Pamela Middelburg, Lady Jacqueline Porter and Denise Branditt attract attention to the 1953 Buick Roadmaster originally owned by Howard Hughes, which sold for $1.5 million. “Barrett-Jackson’s Palm Beach Collectible Car Auction has grown at an extraordinary rate over the past two years, attracting some of the world’s finest vehicles and generating top-dollar bids,” said president and CEO Craig Jackson. Connoisseurs were able to see the very best retro-mods, hot rods, American muscle cars, European sports cars and other beautiful collectables. The event was designed for serious collectors and as a way for the general public to celebrate the automobiles, as well as the lifestyle and culture that comes with them. Since 1971, Barrett-Jackson has specialized in providing products and services to classic and collector car owners, astute collectors and automotive enthusiasts around the world. The company produces the “World’s Greatest Classic Car Auction” in Scottsdale and Palm Beach. Craig Jackson’s father, Russ Jackson, who passed away in 1993, and Tom Barrett, who passed away in 2004, founded Barrett-Jackson in 1971. The company was operated by Jackson’s two sons, Brian and Craig, until Brian passed away in 1995, leaving Craig to carry on with the family legacy. 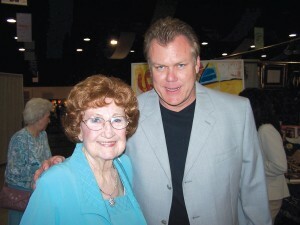 Craig’s mother, Nellie Jackson, is still actively involved in the auction business and shares his vision for the continued successful future of the company. Craig and his wife, Sheri Jackson, have two children who have inherited a passion for classic automobiles. 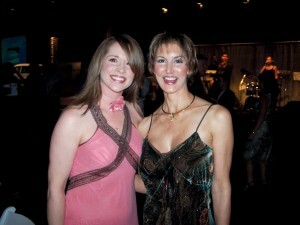 Auctioneer Amy Sparks Assiter meets with Lady Jacqueline Porter at the opening night gala at the South Florida Expo Center. From a very early age, Craig has been involved in the family’s interest in automobiles. The result has been a number of best of show and first place trophies and an extensive education in classic car restoration. He has consistently improved the quality and scope of all Barrett-Jackson events by carefully selecting vehicles that interest the public. He has also been instrumental in the development of solid relationships with large sponsors such as DaimlerChrysler Corporation, Meguiar’s, Intercity Lines and the SPEED channel. For more information, visit [http://www.barrett-jackson.com] or call 480-421-6694.